Socrates: Why the long face, Euthyphro? Euthyphro: Our previous conversation has made me come to realize there can be no actual virtue, Socrates, nor a god. Socrates: Gads! Why not, friend? Euthyphro: Because if virtue is good because the gods command it, it is merely their arbitrary will. And if they command it because it is objectively good, then the gods themselves are subject to something greater than themselves. Thus I conclude that there is no value, and probably no gods anyway. Socrates: You’ve clearly left port without a sail, sad companion. With what will you replace the gods and value then? Euthyphro: With Nature, Socrates, and with Reason. Nature has brought us into being over the long course of time, and Reason is the pinnacle of our being. Socrates: That’s a thinker. I wonder, though, if I might ask you a question about that? Euthyphro: I’d kind of prefer that you not. 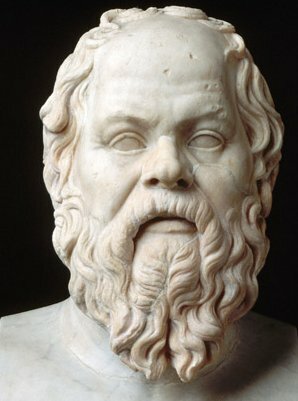 Socrates: Is reason objectively accurate because it has been created by nature to be so, or did nature create it to be so because it’s objectively accurate? If nature created it to be so because it’s objectively accurate, then something other than nature brought its objectivity into being. If it is accurate because it is created by nature, then nature’s dictation of it is merely arbitrary, the bouncing around of particles, rendering it not actually objective. Yet obviously reason works objectively, or else we couldn’t have this conversation. From whence then, comes reason? Euthyphro: You know I hate you, don’t you, Socrates? “Therefore any evolutionary account of the place of reason presupposes reason’s validity and cannot confirm it without circularity.” – Thomas Nagel, Mind and Cosmos, p. 81.